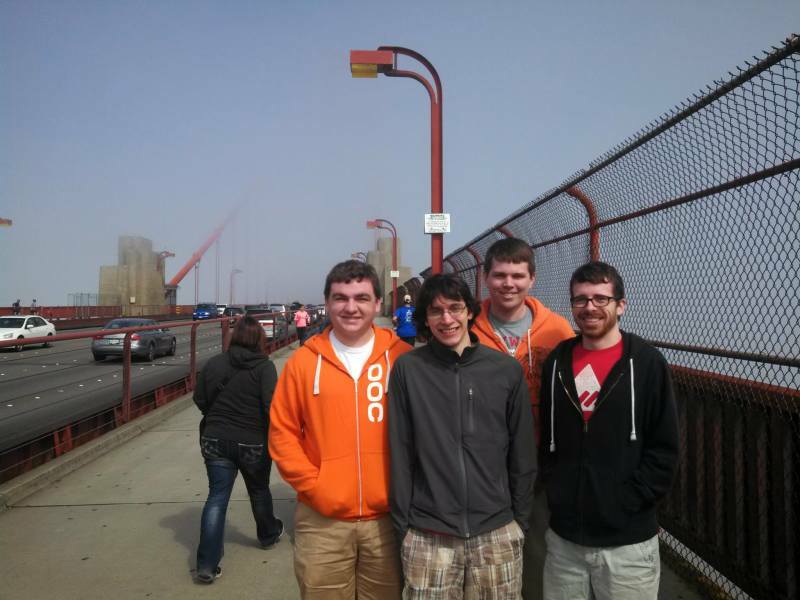 The following is an overall account of GDC 2014, as experienced by myself as well as Colden Cullen, Brandon Littell, and Eric Christenson. Colden has written more extensively about the individual conversations that we had, while my approach covers the broad strokes of the trip. I had the pleasure of meeting my old friend, Derrick Staten, and touring around San Francisco in a top-down convertible. The Golden Gate was completely fogged over (see picture below), but it was an otherwise beautiful day in which we sampled many local eateries and places of interest. This day offered a great look into what daily living might be like in SF, and it reinforced my willingness to move out there once school is out. We went to a meetup of RIT graduates (and soon to be grads) in the evening. That first taste of connecting with people in the industry set the tone for the rest of the week. I learned that people were interested in Dash and that I could maintain a good conversation with engineers I had just met. We started the day with our only plan being to have a work day at a coffee shop or something. We ended up going to the Moscone Center and picking up our badges for GDC, then hanging around the basement and working there. Throughout the day we also planned for a dinner to celebrate Colden's birthday (surprise party!). We got nearly all of IGM to get burgers and have dinner in the park. Happy 16.4th birthday, Colden. 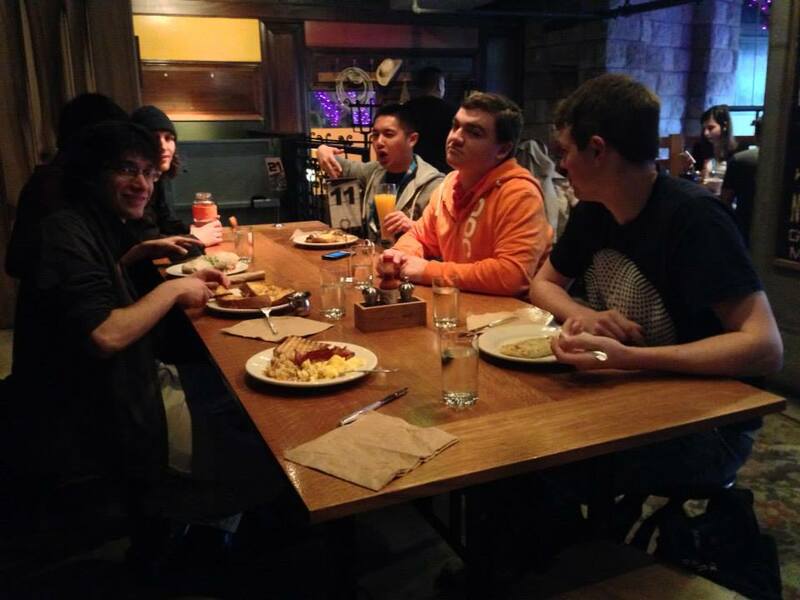 We started the day off by finding our new favorite breakfast spot, The Grove. The prices were "cheap" compared to every other sit-down food place and they had the most magical french toast ever concocted. 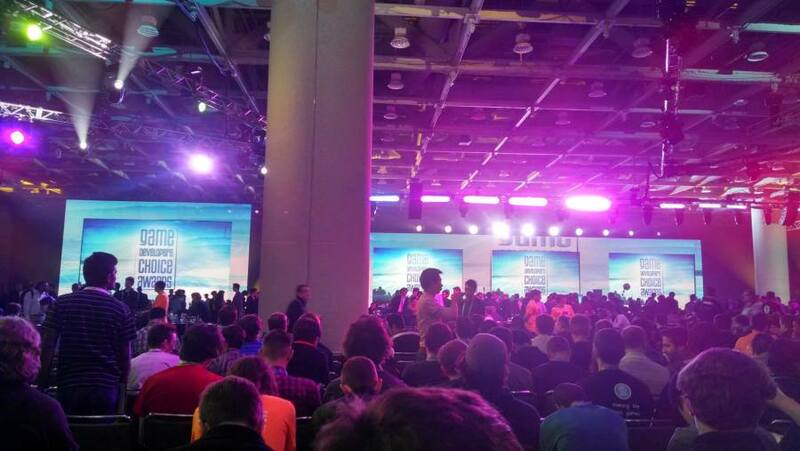 We spent a few hours at the Amazon Developer Day, learning about AWS as it relates to games. Stuff like creating game servers on the fly, doing game analytics, and other nifty tricks for modern game development. Afterwards we killed some time before the evening Sony presentation by playing "You've Got Game Show," a speed trivia game. The score in the photo is the closest chance I had at winning. As we waited in line for Sony, Brandon and I had the chance to speak with a few Microsoft Game Studios developers. They were happy to speak with us and encouraged a follow-up over the summer while we're interning in Redmond. 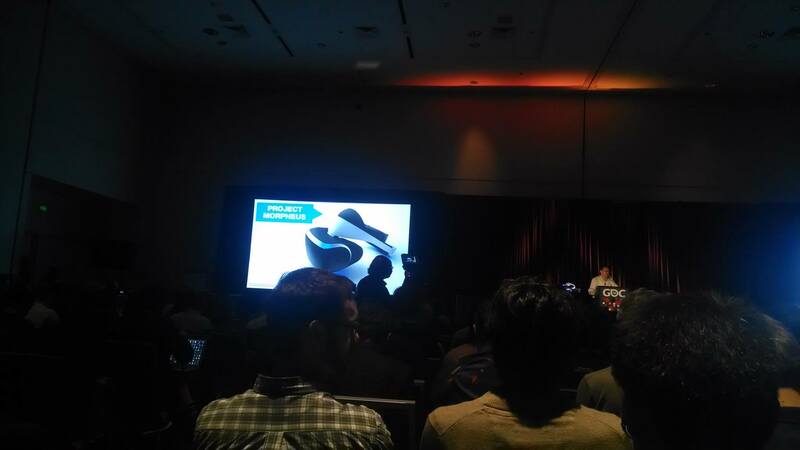 The big reveal for Sony was Project Morpheus, a virtual reality headset that will compete with Oculus Rift. 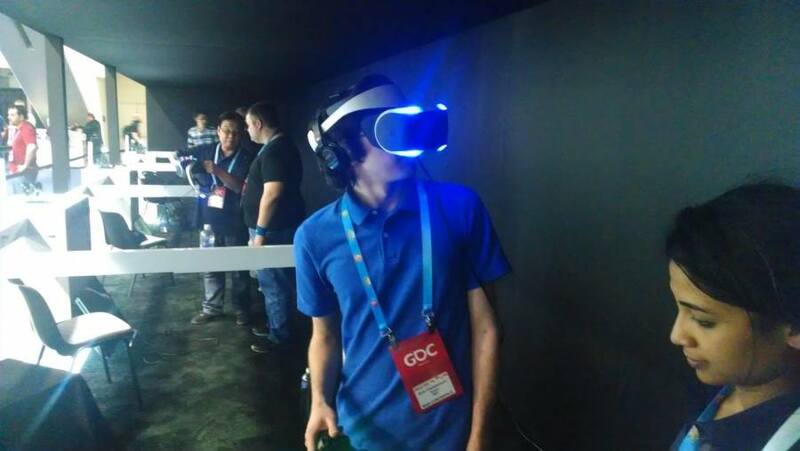 Their developers had good thoughts about all the small and large problems that we'll face as games continue being developed for VR. 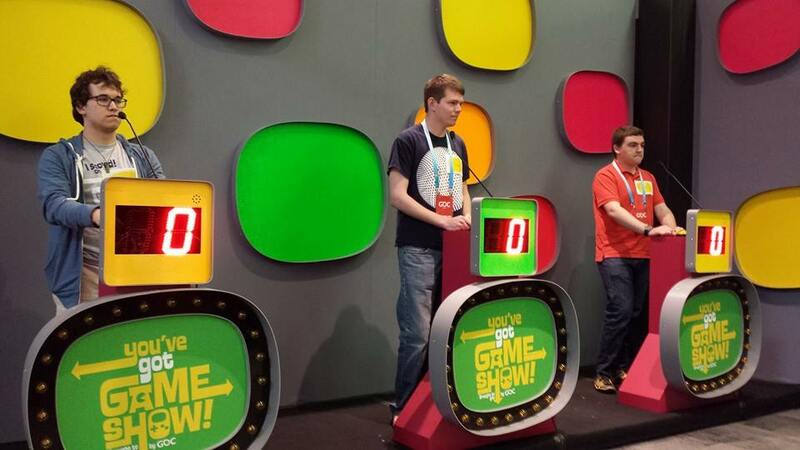 On Wednesday, the show floor opened. Thus began the flurry of lectures and discussions with industry professionals that defined the best moments of our trip. We had deep discussions with Epic, Crytek, and Marmalade about our Dash engine, resulting in great advice and great contacts. All of us spoke with numerous industry developers that were excited to hear from us and expressed interest in hearing from us going forward. On Wednesday night a few of us went to the Independent Games Festival and Game Developers Choice Awards, which offered a great retrospective on the last year of games. I learned about a number of indie titles I wouldn't have seen otherwise. Mega64 and Hey Ash, Whatcha Playin'? contributed some hilarious videos. I left the event hoping to one day see a friend on-stage accepting an award for something amazing they created. I would be remiss if I didn't talk about the capstone to a perfect week. You see, the Dash engine is written in the D language, which is not a common language and has only seen scattered uses in game development. One of the lead developers of the language, Andrei Alexandrescu, works at Facebook and we went for a hail-mary, contacting him on Tuesday to see if we could meet with him. Amazingly, we coordinated a meetup for Friday night! The meeting went by in a blur. We went in with some prepared questions and topics relating to D and our engine, but in the couple hours we talked neither subject hardly came up. Instead we had an honest and exciting discussion about our future, working in the games industry vs. general software engineering, and random life stuff. Eric left with a full-time interview at Facebook and Colden, Brandon, and I have the same opportunity once we look for full-time jobs. 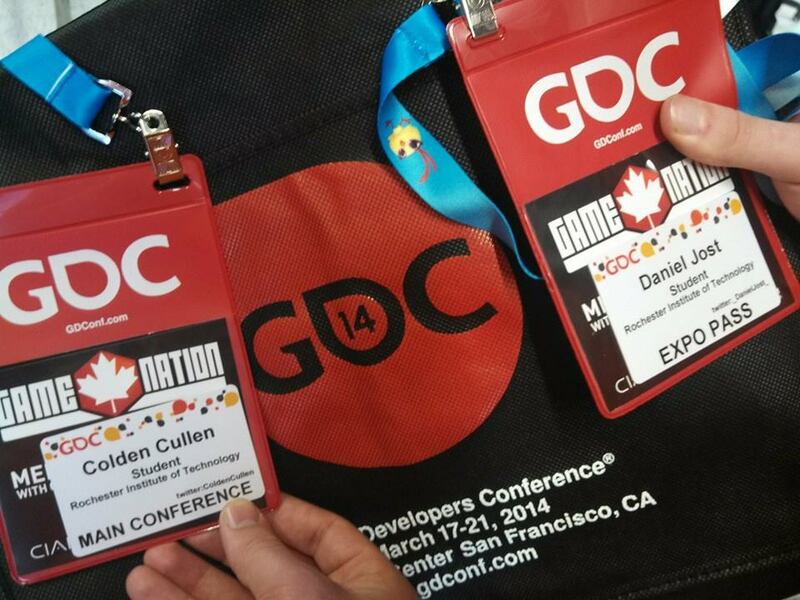 GDC week had an incredible life-changing impact on me. Hearing from experts and getting contacts in the industry would have been good enough, but my outlook on life became undeniably better as well. I started off this school year believing that web development was my best career option with games as a pipe dream, but I am more determined and sure that I can not only have a successful career in a wide variety of positions, but I can achieve bigger goals than I was previously setting for myself. Now to get back to making Spectral Robot Task Force the best game possible.